My wife Nicole and I started Elephant Bakehouse in June of 2013 with a simple mission: to bake world class, healthy sourdough bread (made with only organic flour, water, sea salt, time and love) for the people of Streatham. However, the business of getting started has been far from simple. Following our sell-out success at last year’s Food Festival, we began searching in earnest for a permanent site in Streatham. At our core, we believe that a business must be part of its community, so it was crucial for us that we set up in the community where we live. But to keep prices competitive we also had to find somewhere affordable. The search took in old takeaway shops, disused railway arches, light industrial units all over Lambeth, and finally ended a year later with the perfect spot: a quaint Victorian outbuilding near St Leonard’s church, in the heart of the Streatham community. But the challenges of getting started did not end there. Just last week, as the bakehouse prep was ticking along on schedule, disaster struck when our new oven was delivered: during transit, it had tipped onto its front and was damaged beyond repair. This was a major blow. Our dream of supplying stacks of various sourdough loaves to devoted fans and food lovers at this year’s Sunday Food Fair was shattered. But this will not stop us. Nicole and I have decided we just can’t miss this year’s Sunday Food Fair, where we met so many lovely people last year. So, we’ll bring along a few sample loaves of our white wheat and rye sourdough bread, which we affectionately call the ‘Wellfield Rye’, for tastings, and we’ll be giving out bakehouse balloons and temporary tattoos for the kids (big and small!) and sharing our enthusiasm for real bread. Happily, we secured a new oven this week, so the bakehouse will (finally!) start up in just a few short weeks at No. 8 Gleneldon Mews. Anyone wishing to place orders for bread can do so at the stall on Sunday whilst enjoying a taste of what’s coming soon to Streatham. ‘Wellfield Rye’ started out as an experiment to try to fuse two very different sourdough traditions: the open texture and chewiness of a California-style sourdough, and the heavier rye bread traditions of Germany. The result is a moist and chewy white sourdough, with a hearty and rustic rye flavour. 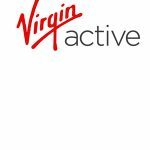 It’s named after Wellfield Road in Streatham, the site of the old health spas. 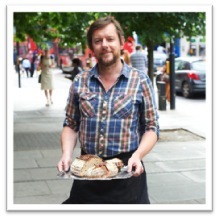 Duncan Salisbury-Gaumont has been making sourdough bread for seven years. He started as an enthusiastic home baker, then became the first sourdough intern at the prestigious e5 Bakehouse in Hackney. He soon became a full-time member of the team and was making and baking for restaurants and cafés at the forefront of the area’s artisan food renaissance. He has also studied sourdough bread at the School of Artisan Food in Nottingham, and attended a private workshop given by the co-founder of the Real Bread Campaign, Andrew Whitley.